Figure 5.5. Charge Location for Switches, Frogs, and Crossings. 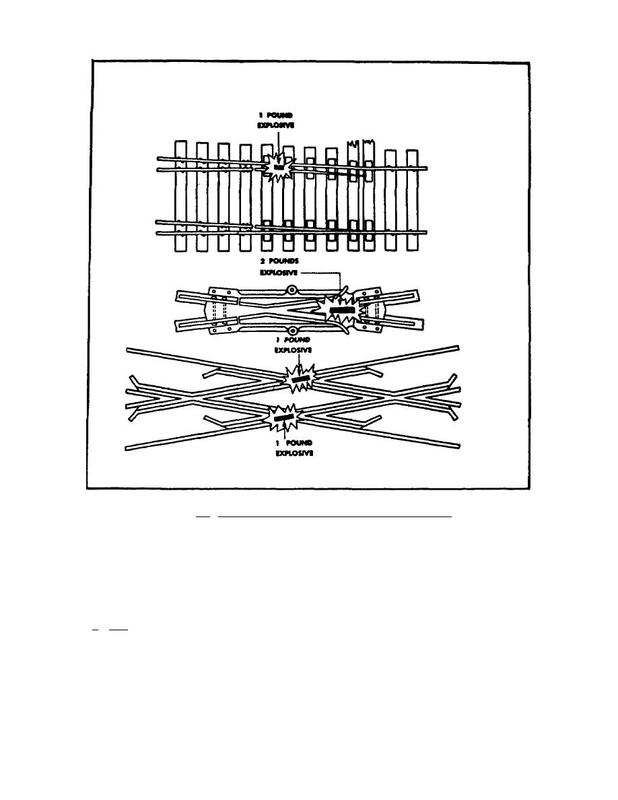 switches, frogs, and crossings; figure 5.6 shows the placing and results of hand charges against rails. unfit for use. They are discussed in the following subparagraphs.